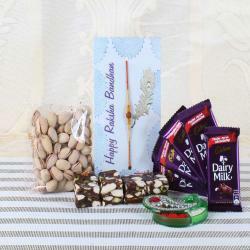 Product Consist: Dry Fruits Sweets (Weight: 200 gms), Silver Shiny and Colorful Beads Rakhi, Fig Dry Fruit (Weight: 100 gms) in a Jute Bag along with Roli Chawal Container. 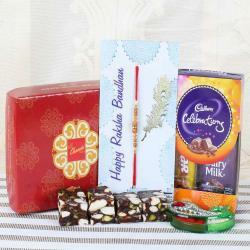 If you are concerned about your brother’s health, gift them the Delicious Sweets and Fig Dry Fruit with Stylish Rakhi. It is a respectable gift and gives lots of energy to work and make the body look very brisk. This gift will make your brother happy on the Raksha bandhan day and is the perfect option to convey your concern for his good health. It is an ultimate choice for the sister to buy this perfect gift for your beloved brother. 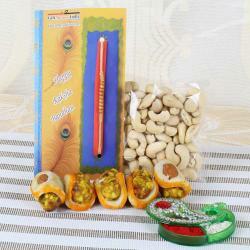 Dry fruits like almond, cashew nut, raisins, walnut, apricot, and others are present in the gift item. 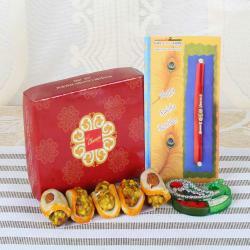 This pack also comes with a stylish rakhi suitable for your brother. 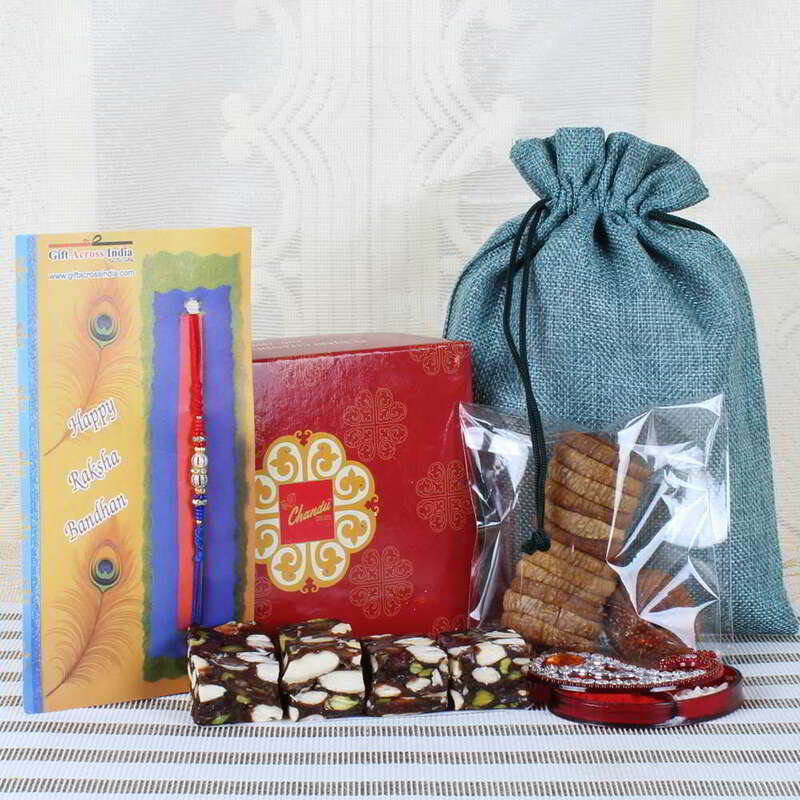 Product Consist: Dry Fruits Sweets (Weight: 200 gms), Silver Shiny and Colorful Beads Rakhi, Fig Dry Fruit (Weight: 100 gms) in a Jute Bag along with Roli Chawal Container.